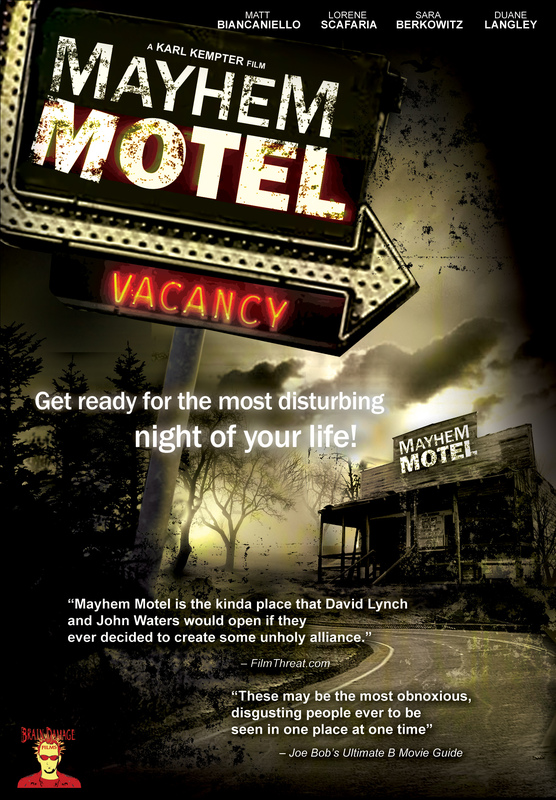 Mayhem Motel - Acort International Inc.
SYNOPSIS: What can happen in the course of one night in an average motel? TOO MUCH! Vomiting, spanking, shooting, stabbing and smothering... Anything and everything goes at MAYHEM MOTEL.